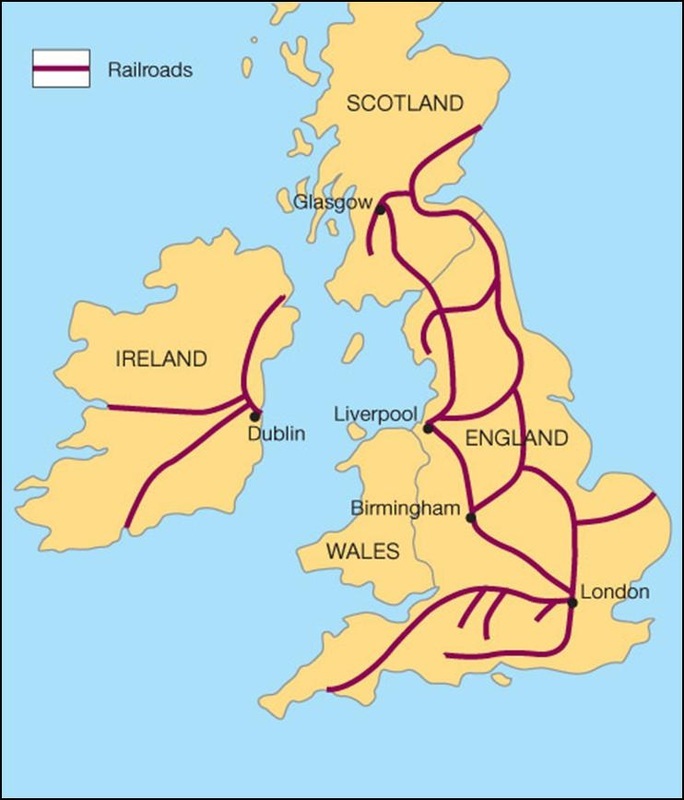 Arguably the biggest societal, cultural, economic, and political change of the modern era, the Industrial Revolution made mountains out of men and legends out of legacy. It propelled Britain to the forefront of European dominance and left other nations to lie fallow in the dusts of anonymity. But with every progress there must be an element of regress. Essential Question: What "steps forward" were achieved by Industrialization? And which "steps backward" coupled this advent with dire struggles of simple survival? 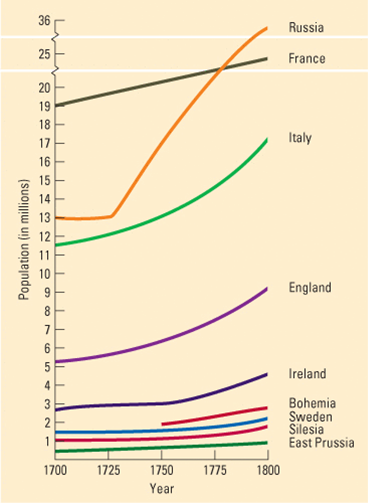 It's an indisputable fact that Industrialization improved the life of the European populace...as a whole. Though individual classes, ethnicities, races, and genders might've suffered, the "steps forward" are evident in the following areas of focus. Let's look at the some raw data​. Religious Wars (including the Thirty Years War), responsible for the deaths of 15 million on the highest estimates. Massive dislocation and migration of people under political and ethnic threat. 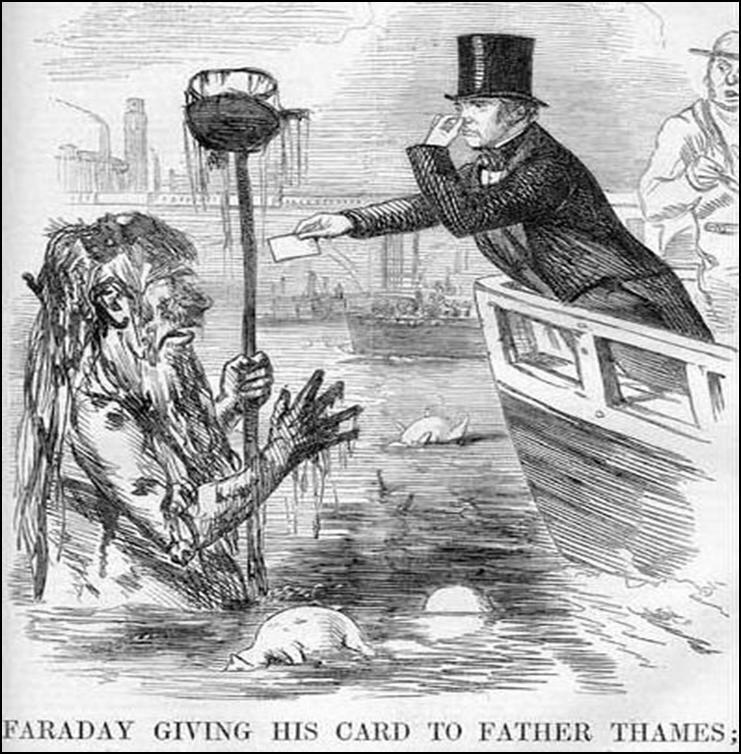 Often times, disease spread as a result of infected water. 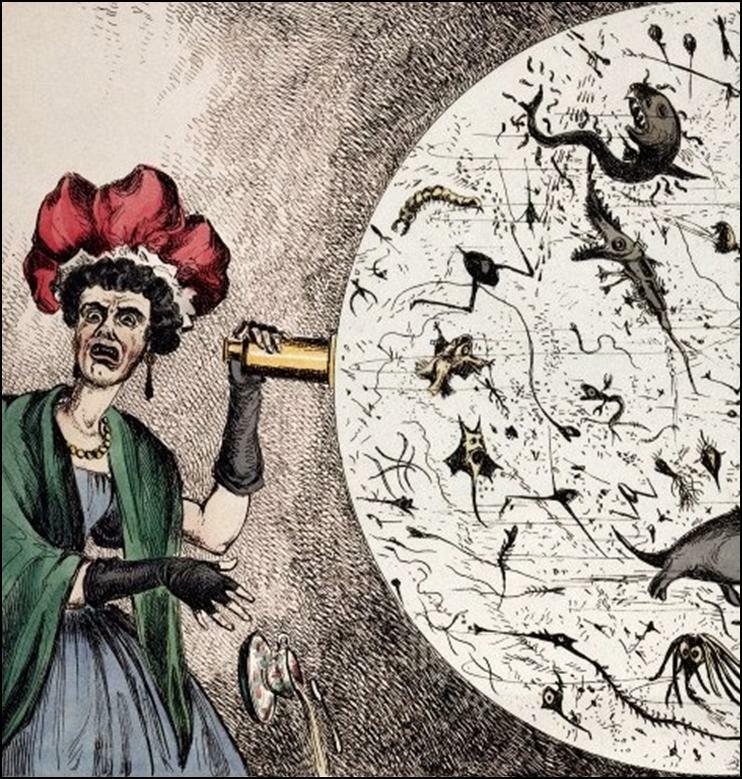 Cholera and typhoid were most common. 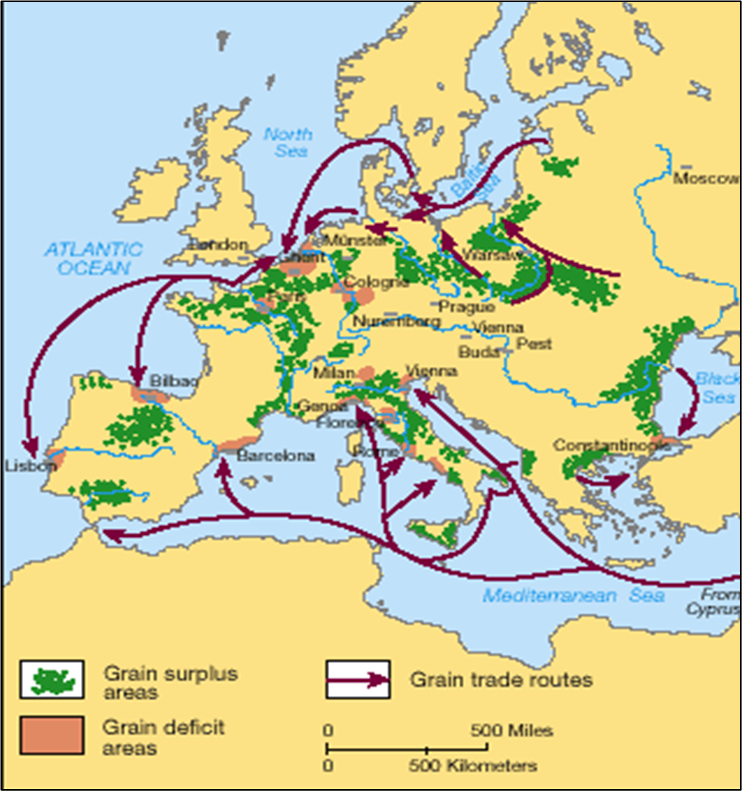 By the Seventieth Century, trade routes could connect grain surpluses with deficiencies. 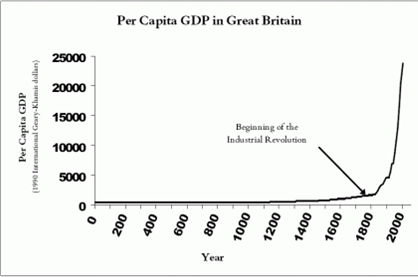 Question: Why is Industrialization a “step forward”? ...a better understanding of disease (need for quarantine…), coupled with an increase in medicine and technology, coupled with a greater understanding "germ theory". ...better sewage and sanitation, particularly in England and France. 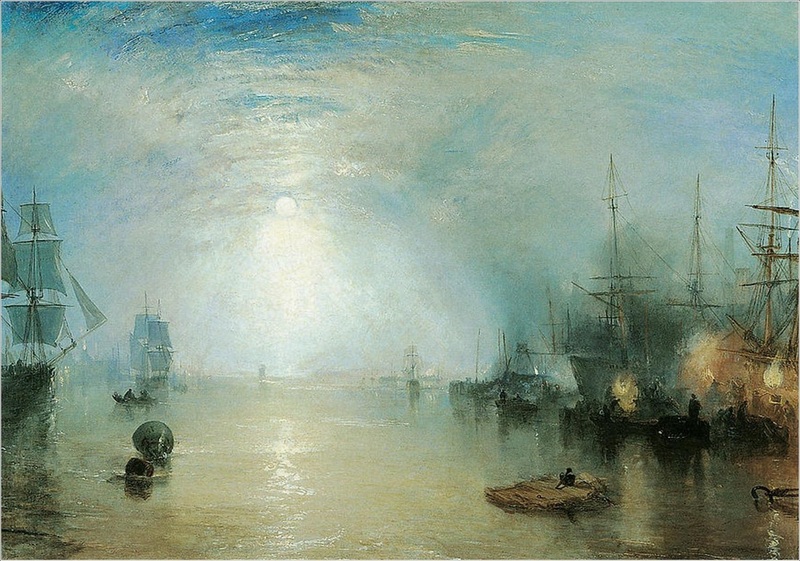 The word "sewer" has evolved from the original word "seaward", meaning that all sewage, originally, flowed into the rivers and then flowed out to the "sea". Just think: if you were drinking from the same river in which your waste flowed...an adequate sewer system was a vast improvement. ...increased travel and trade that allows for surpluses to reach deficiencies, more nutritious foods to be harvested, and for famine and starvation to be staved off. This, too, would lead to a higher quality of life that yields higher birth rates. Quite frankly, if you have a better chance of infant survival, you're going to have more children! 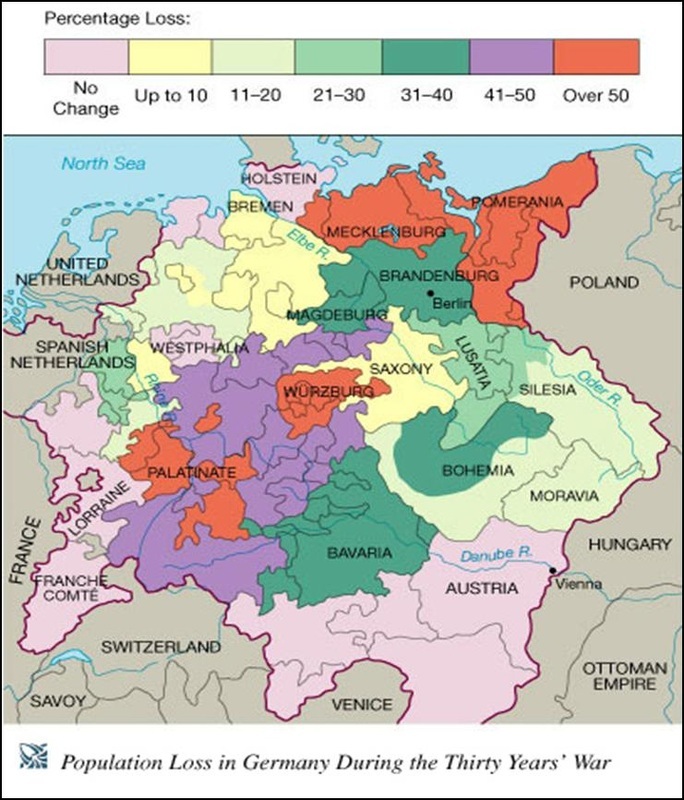 As the populations grew, economic theories grew with them. Chief among these new theories were Adam Smith's principles of "economic liberalism" and a laissez-faire economy, which encouraged private ingenuity and entrepreneurship while the government stood back and allowed this development to happen! 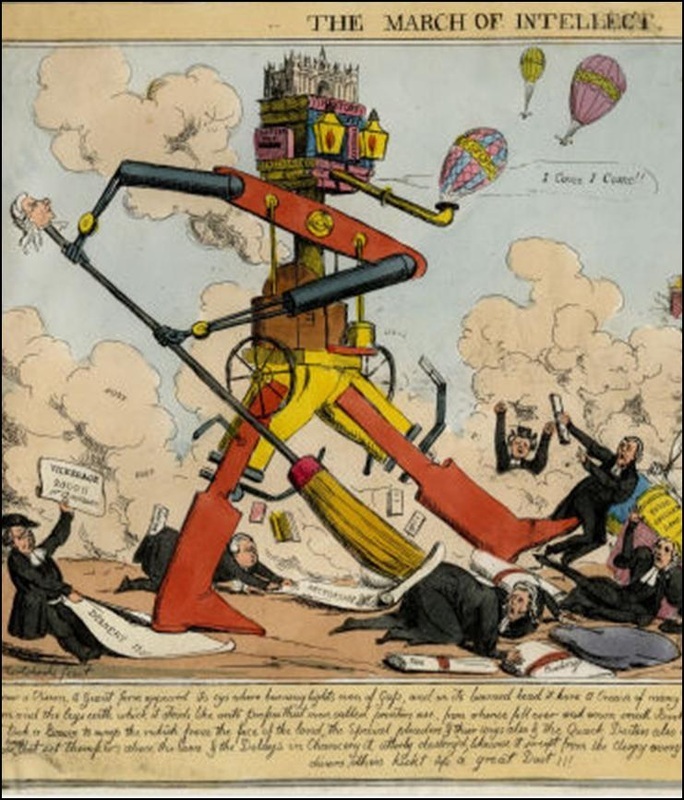 One could envision these theories to be quite similar to the imaginary lithograph shown on the right: the "march of intellect", in robotic form, "sweeping away" the theories of the past. The “invisible hand” of natural competition will be enough government and guilds, monopolies, state-funded agencies…all of these were a retardant to competition! ...but unrestrained capitalism can lead to a "miserable experience" seen in human exploitation and poverty. 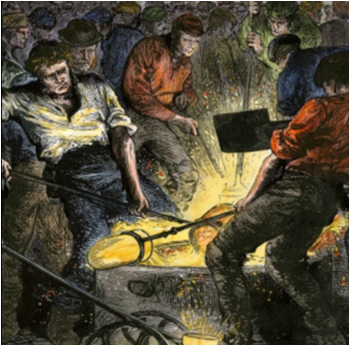 Factory workers hammering molten iron made possible by the "blast furnace"
The railroad, capable of traveling beyond traditional river and canal travel. 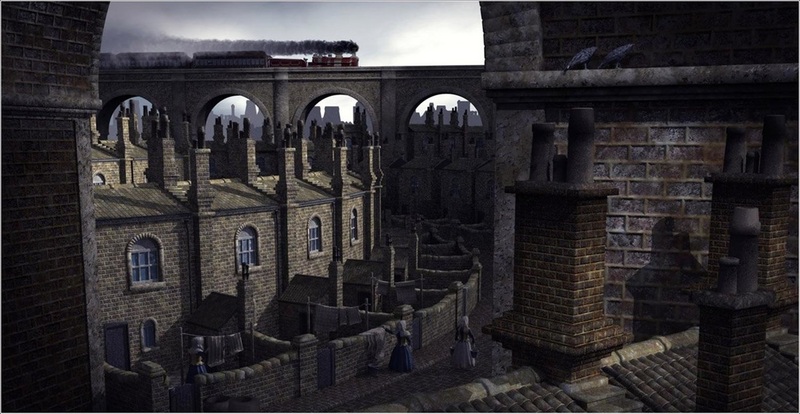 Yet perhaps the greatest "step forward" of Industrialization was the regional identity and national pride that resulted from the simple economic theories of "economic liberalism" and a laissez-faire economy. 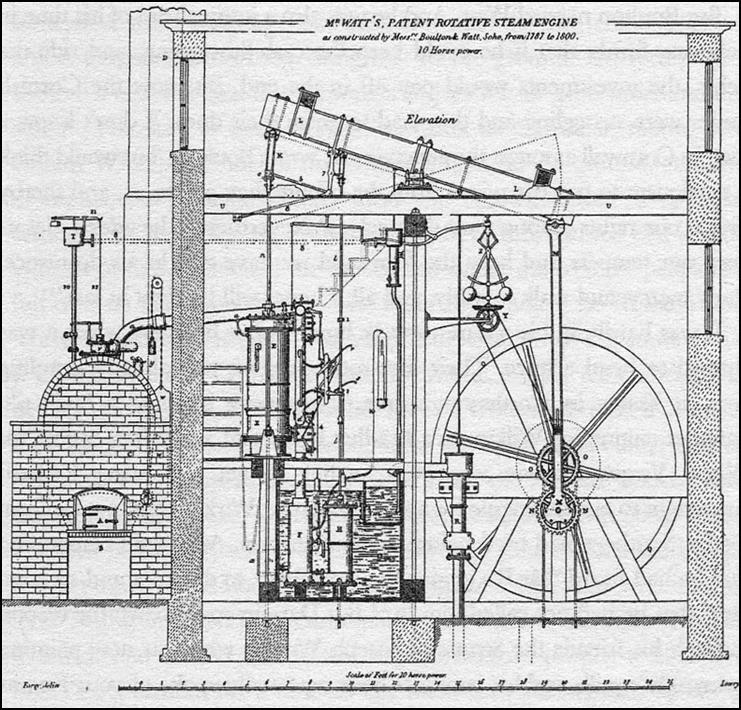 Put simply, industrialization allowed countries to compete on the "drawing board" - not on the battlefield. 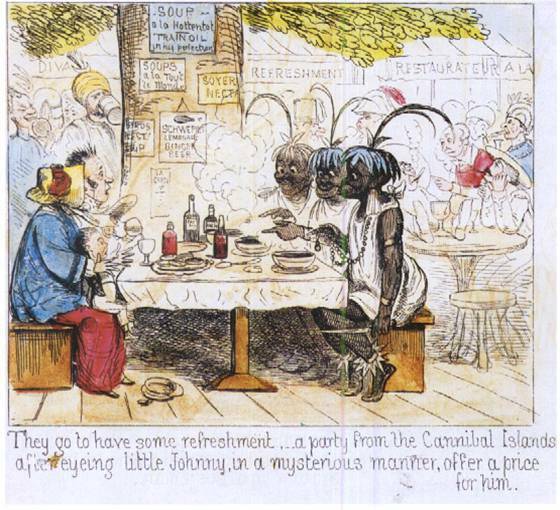 And the greatest example of this "competition was the Great Exhibition of 1851 held in London's Hyde Park. Call it Britain's "coming out" party: it took 9 months to create, featured 100,000 exhibits, and opened its doors to 6 million total visitors with some 20,000 "punching a ticket" on the first day alone! Let's read about the Great Exhibition and see what other "steps forward" are evident from such an example. 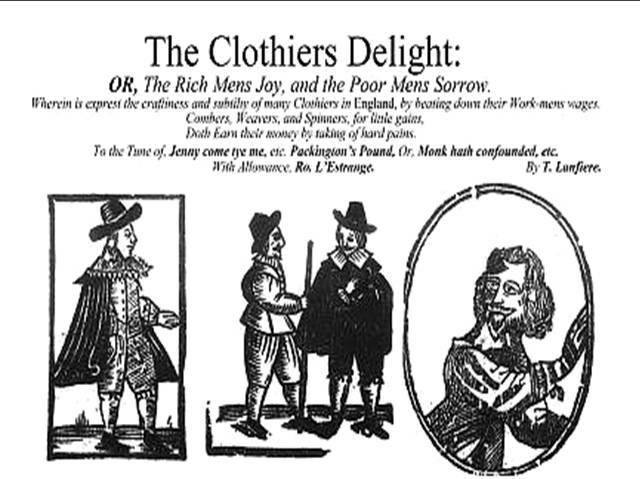 The of the yawning divided between the "have's and the "have-not's"
The element of cutthroat competition which yields, both directly and indirectly, to war. I said that population, when unchecked, increased in a geometrical ratio, and subsistence for man in an arithmetical ratio...Let us now bring the effects of these two ratios together. 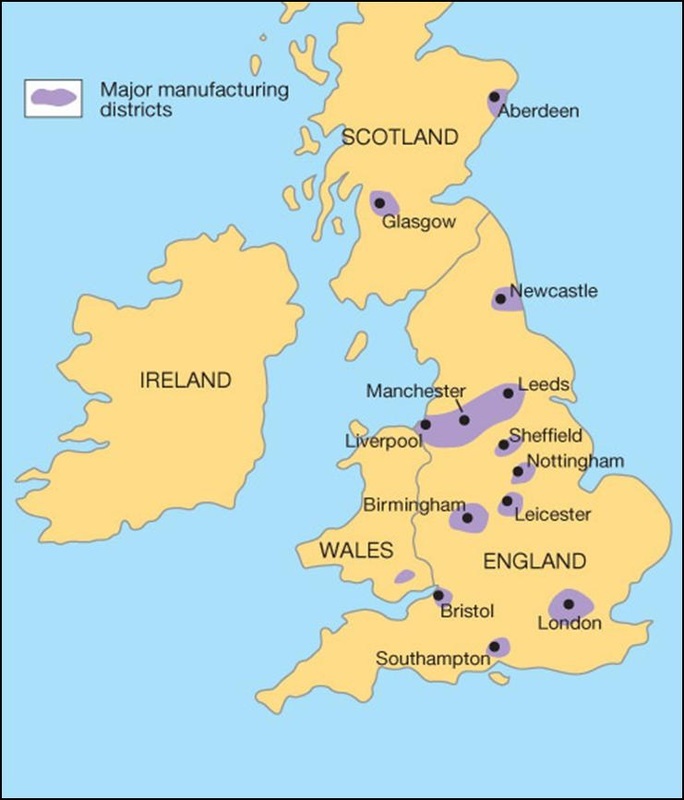 The population of the Island [of Great Britain] is computed to be about 7 millions, and we will suppose the present produce equal to the support of such a number. 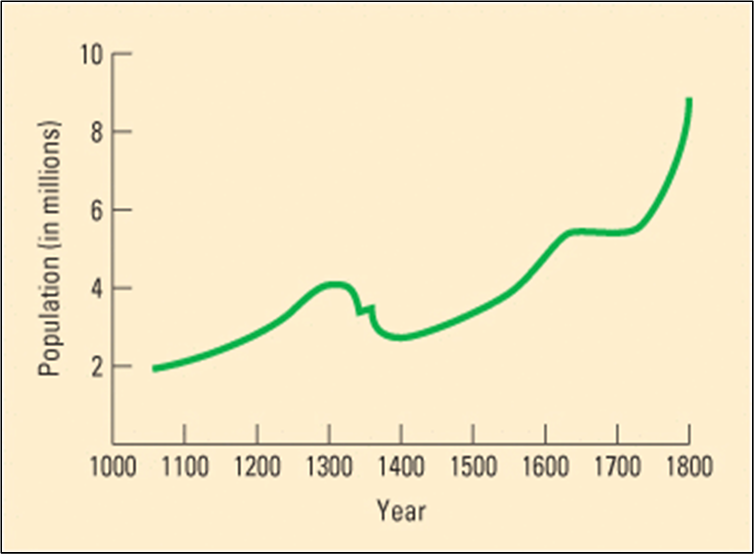 In the first twenty-five years the population would be 14 millions, and the food being also doubled, the means of subsistence would be equal to this increase. In the next twenty-five years the population would be 28 millions, and the means of subsistence only equal to the support of 21 millions. In the next period, the population would be 56 millions, and the means of subsistence just sufficient for half that number. And at the conclusion of the first century the population would be 112 millions and the means of subsistence only equal to the support of 35 millions, which would leave a population of 77 millions totally unprovided for…. In such a hole, scarcely five feet long by six broad, I found two beds—and such bedsteads and beds!—which, with a staircase and chimney-place, exactly filled the room. In several others I found absolutely nothing, while the door stood open, and the inhabitants leaned against it. Everywhere before the doors refuse and offal; that any sort of pavement lay underneath could not be seen but only felt, here and there, with the feet. 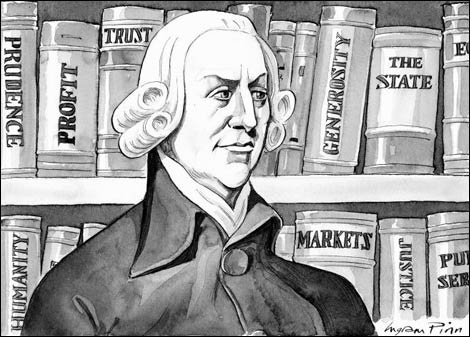 Adam Smith might've touted the new economic theories of economic liberalism and a laissez-faire approach to society, but economic philosophers like David Ricardo, for example, would argue the contrary, via the theory of the "iron law of wages". Which we get by griping and grinding the poor. Although we do get it with many a curse. We will make them to earn their wages full dear. And this is a way, etc. We bid them choose whether they will work at all. We care not a pin, though they are n’er so sad. We care not whether we keep clothing or no. Then for to bate threepence we will not be slack. We have got no money, and what’s that you’d have? That you may work by them so long as you have sight. It was David Ricardo whose theory on the "Iron Law of Wages" postulated that population growth would keep wages at a constant, “near-hunger” level, as there are always people willing to work for cheaper wage! [Eventually, the difficult living and working conditions] proved disastrous, for many of them became dwarfs in body and mind, and some of them were deformed. 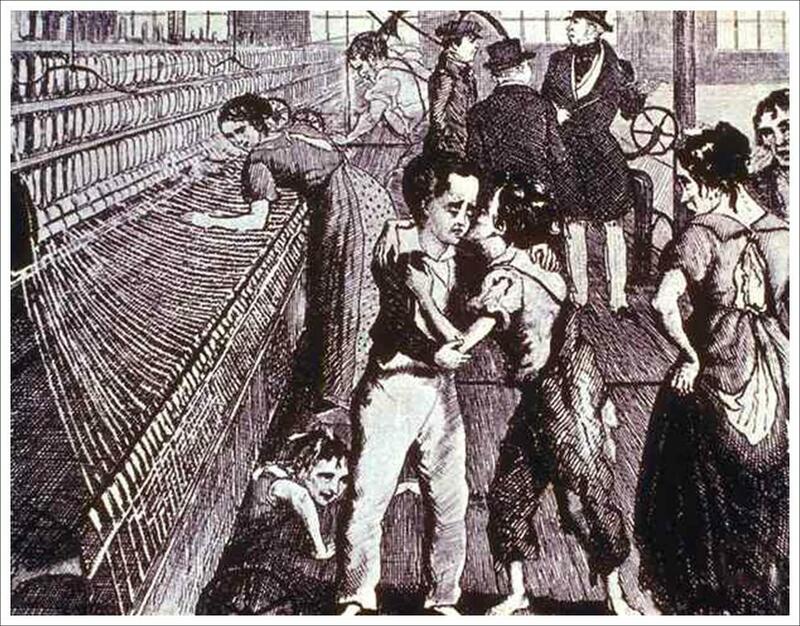 Their labor through the day and their education at night became so irksome, that numbers of them continually ran away, and almost all looked forward with impatience and anxiety to the expiration of their apprenticeship of seven, eight, and nine years, which generally expired when they were from thirteen to fifteen years old. 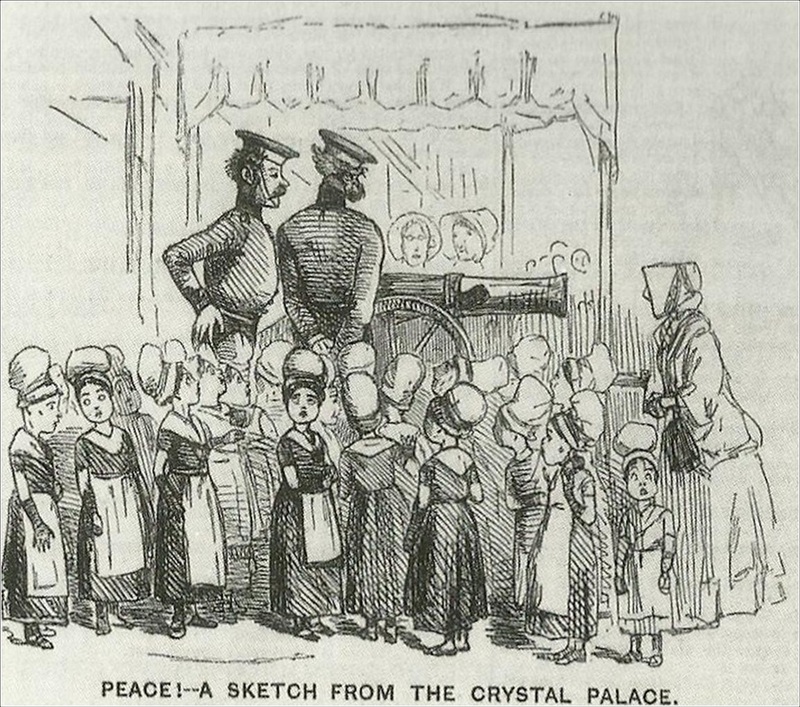 At this period of life, unaccustomed to provide for themselves, and unacquainted with the world, they usually went to Edinburgh or Glasgow, where boys and girls were soon assailed by the innumerable temptations which all large towns present, and to which many of them fell sacrifices to these temptations. 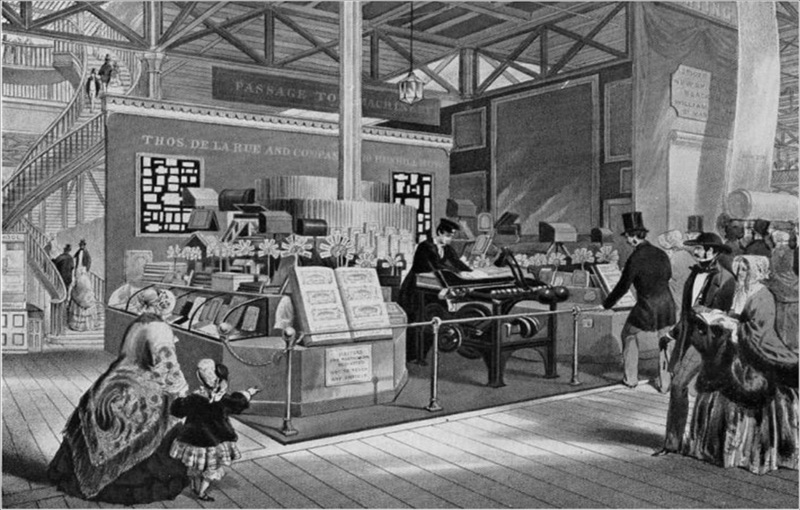 Though the "wonders of competition" and the "displays of national pride" were on grand display at the Great Exhibition of 1851, many underlying themes of the grand event would illustrate the "steps backward" of Industry. Yes, blast furnaces, lumps of coal...even early fax machines...were on display but so were prejudices, xenophobia, classism, racism, and ethnocentrism. And who can forget that the same factories that forged machines of progress would eventually forge machines of war.